House shifting is a process that is infamous for being stressful and daunting. In some ways, it is true. It is because you might encounter many problems, difficulties, and hassles in the process. There are lots of planning works as well which can make you stress. Furthermore, there can be also many arrangements you need to accomplish before you move to your new home. All these things will take your precious time and energy. Planning, time management, getting organized and being positive towards the upcoming move is a key to a successful home relocation. There are a number of tasks in the shifting process which need to be completed with great care. You can assign the tasks to a professional Packers and Movers to get rid of difficult tasks and save your precious time and energy. Many people want to pack their belongings on their own. But professional packing is the best as it ensures the safety of your belongings providing secure packing in strong and premium quality packing materials. You must be thankful to professional Packers and Movers as they provide you great assistance on your move and make you worry-free. But there are still some packing tasks you will need to do on your own. Often professional Packers and Movers don’t like to pack precious jewelry, items of sentimental value and important documents. So, what are the plans you have to pack your jewelry and other precious items of your household? Don’t feel blue. In this article, you will get to know some awesome tips on packing jewelry and other precious items on your move. If you are shopping around some nice tips for the same then this exhaustive guide for packing jewelry and precious items is just for you. Your precious jewelry not only includes your most delicate gold and silver ornaments, but also includes some of your most expensive items, important documents, and certainly those items you are sentimentally attached to, such as gifts and family heirlooms. These items are irreplaceable. Hence you must not let professional movers to pack. You must not load these irreplaceable items onto the moving trucks because in transit there is a high risk of getting lost. 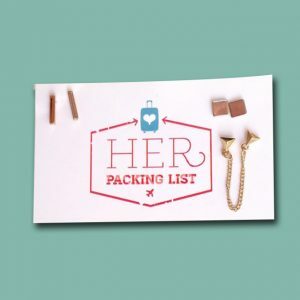 So, what is the best solution for packing and moving jewelry and other precious items of the household? Our following exhaustive guide on packing jewelry items for a move will provide you the best solutions you need to safely pack your gold & silver chain, earning, rings, bracelets, necklaces, and other precious items. Gold earrings are not only precious but also delicate items and there is a high risk of damage during a move if you don’t take precautions and pack them in the correct way. Probably, your earrings may get tangled and hooked together during a move. So, you need to be very careful when packing them for your move. To avoid the risk of damaged earrings on your move here are some great tips you must take into account. 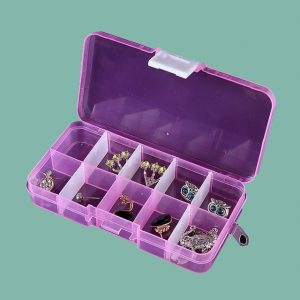 Make use of pill organizers to pack and secure your delicate earrings. Pill organizers are perfect for keeping or packing delicate earnings. Most chemists also sell pill organizers. So you can easily get the same from a nearby chemist. Pill organizers have separate slots. Keep one pair of earrings in each of the separated slots. And thereafter, take bubble wrap and carefully wrap the pill organizer. Keep in mind, this method works for small earrings and studs. Remember the day, when you purchased your earrings. Probably, your earrings were attached to a plastic or tough paper card. Do you know why your earrings were attached to the card? Basically, the card protects the delicate earrings during transportation to the store. Many of us throw that card. Probably you also did. You don’t have that card, actually. No problem. You can recreate them with cardboard or business cards. If you use cardboard sheet then cut it in the size of a business card and make two holes in the card by using a pin. What next? Attach the earrings to the card carefully and then tape the hooks to the card so the earrings do not get dislocated. This method is great for big and hanging earrings. After making your earnings stable and protected on a card, place them in your jewelry box. If you don’t have a jewelry box then place them in a plastic ziplock bag and then into a small padded box. Then wrap the box with bubble wrap for giving them more protection. It’s indeed a great idea, isn’t it? An egg carton also works great for packing and moving necklaces, completely tangle-free. What you will need to do is stringing the sides of your necklace through the holes in the top of the egg carton. Then hook the chain, and place the rest of the necklace inside the egg carton. Thereafter, wrap the entire thing in the bubble wrap. You are done. You can keep multiple necklaces or chains in a single egg carton without fear of the chains are getting tangled. Now learn the simple and cheap way to pack your earrings securely. You certainly have buttons. Take a button and stick the earring post through the buttonhole. Then place the earring back on the other side of the button. This approach will help you keep the pairs of your earrings organized. Packing a ring is easy and simple. It does not need special treatment. Right? Probably not. Your rings also need special treatment on your move because stones or gems studded on the ring may fall out or lost if you are not careful about the same. You will never like such occurrence, will you? Here are a few great ideas which will help you protect your valuable rings from damage and ensure they do not get lost in transit. You have already learned the use of pill organizers to protect earrings. You can go with the same approach to protect your finger-rings also. Do you eat eggs? If yes then you have also seen the egg cartons. An egg carton can be the best for protecting your rings as it provides best cushioning to delicate things. After all, what can be more delicate than of an egg? 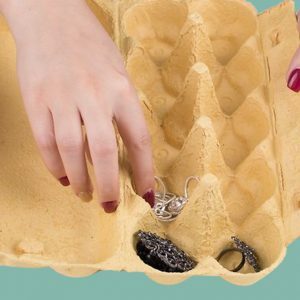 You can place your rings in an egg carton for safe transportation. Take a clean and sturdy egg carton and then place one ring in each individual cup. Once your rings are placed in the cup of an egg carton, fill the rest and blank cups with wadded packing paper. Cotton is the best to fill the blank cups and extra spaces as it will provide you more cushioning to your delicate and valuable rings. Thereafter, wrap the entire egg carton with bubble wrap. It’s all done. Remember, you can also go with this approach to pack and protect your earrings. Another method is using a sunglass case. Generally, a sunglass is made of hard materials and has cushioned inner side. So, if you have a sunglass case then it can be the best thing to place your ring collection for a move. Wrap each ring in packing paper. If you don’t have packing paper then you can also use tissue paper. Don’t leave the empty space in the sunglass case. Fill the empty areas of the case with additional tissue paper or packing paper. You can also use cotton. Thereafter tape the case properly using and wrap it with bubble wrap for extra padding. Bracelets and necklaces are items of high value. They are the most lovable assets, especially for women. No woman will like to see the damage of their bracelets, necklaces or other pieces of jewelry. Bracelets and necklaces are those delicate jewelries if they are not correctly packed then they might get damaged in transportation. Thus they present the biggest problem to women on a move. There is a high possibility for chains are getting tangled easily on themselves or with other pieces of jewelry. The untangling process can be again a difficult task. Probably it can make damage to your jewelry. So, how can you correctly pack your bracelets and necklaces on your move? How can you protect them from damage? Here are some approaches you can try to protect your precious pieces of jewelry. Do you love milkshake? Have you ever ordered a glass of juice at your favorite restaurant? Probably yes. You drink your milkshake or juice using a straw. Did you get the ideas? Ok, let’s know. Drinking straws can be best for protecting your bracelets, chains or necklaces. Use drinking straws to secure your bracelets and necklaces. This will protect them from getting tangled while in transportation. Take a straw and slide the chain through the straw and clip both ends properly. You can cut the straw if you are using it for bracelets or small necklaces. Straw will keep your chain remain straight when it is packed for a move. Straws are good for packing thinner chains, bracelets, and necklaces. 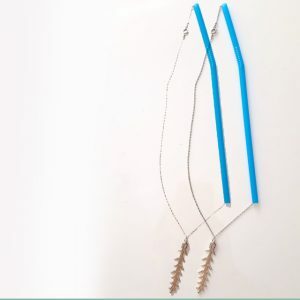 What will you do if you have thicker bracelets and necklaces that do not fit in the straws? Here is an idea for the same. Most probably, you have toilet paper rolls. If you don’t have then purchase the same. Use toilet paper rolls to place and protect your thicker bracelets and necklaces. You can also use bubble wrap, packing paper, tissue paper or plastic wrap to wrap each bracelet or necklace for a safer move. This will provide a good cushion to your jewelry and protect them against any damage or impact. Many people make use of newspaper on wrapping jewelry for cushion. But this is not a good idea at all because newspaper’s ink can give ugly mark onto the jewelry. So, avoid using newspaper especially on the wrapping of your valuable items like jewelry. A proper organization of your entire jewelry collection is key for secure packing for moving. You have already approached to secure your jewelry using a variety of different things such as business cards, pill organizers, sunglass cases, drinking straws, and egg cartons. You shall never want to just throw your business cards, sunglass cases, pill organizers and straws having your precious jewelry into a box or carton. You must try organizing your precious jewelry collection by size and type. 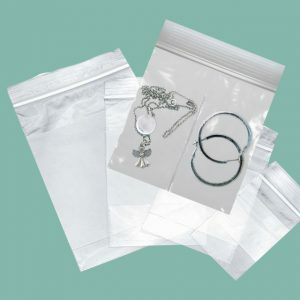 Resealable sandwich bags are great for organizing and keeping various types of jewelry. Sandwich bags are available in different size, also. Use the separate smaller bag to place your rings, buttons holding ear studs and business cards holding your earrings. Then place these smaller bags into one larger sandwich bag. This approach will keep your jewelry organized, easy to sort through, and of course, ready to move. Obviously, a jewelry box is a great way to pack jewelry for moving. Jewelry boxes are especially designed for protecting your pieces of jewelry. They are strong-built and cushioned as well. You will find two layers of protection in a jewelry box. The box has the best padding and the padding material that is covered with soft cloth. From outside the box is tough and strong as it is built of wood, metal or some other strong material. Hence, they can be the best and secure approach to pack your pieces of jewelry and protect them against damages. If you have already organized your jewelry collection using different approaches then again your jewelry box will provide an extra level of protection to your jewelry collection. You will find separate compartments in your jewelry box. 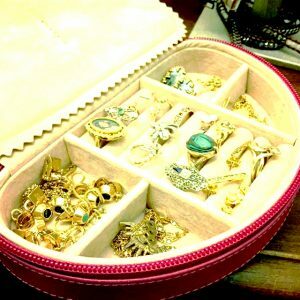 Use the separate compartments to place your different types of jewelry which are already organized in different things. Don’t leave the empty space inside the box. Fill the space with tissue papers, cotton or bubble wrap. Then you can wrap entire box in bubble wrap to provide more protection. This approach will ensure no damage to any piece of your jewelry on transportation. Jewelries are precious. There are also sentiments attached with your favorite jewelry collection. You cannot bear getting your jewelry lost in transportation. So, it is imperative to keep them always with you. Carry your jewelry safely with you. Don’t make a big mistake to put your jewelry collection on the moving truck. Professional Packers and Movers will also agree with this, and will never agree to transport your jewelry or any other valuables like important documents and collectibles that have sentimental value attached with you. You have made your best and sincere efforts to give secure packing to your jewelry collection for safe transportation. Still, if you find your necklaces and earrings tangled when you reach your destination then take advantage of a couple of pins. Untangle tangled chains with the help of pins. Hope, it will work. If it doesn’t work then don’t take the risks of untangling them forcibly. Take the tangled jewelry to a jewelry shop. An experienced jeweler might help you there.